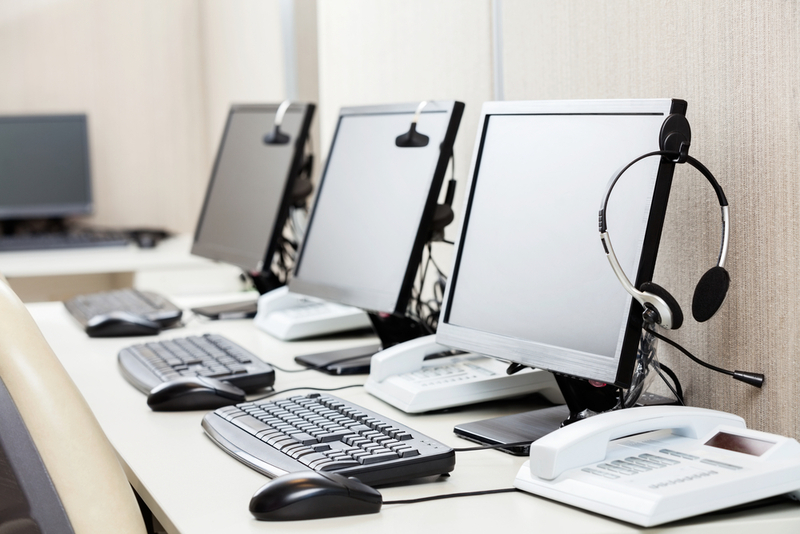 If your business is booming, it may be time to set up a call center. And, if your pockets aren’t as deep as you’d like them to be, call center outsourcing could be your best bet. It’s important to note that setting up a call center is an investment of both time and money, and most firms can’t afford to get it wrong. This article will act as a 7 step guide to help you get off on the right foot. You’ll learn everything from recognizing if you’re ready for a call center to investing in the right tools to run your call center efficiently and everything in between. Are you growing at a rate where your in-house team can’t handle incoming calls? Do you need more agents to handle your customer service calls? Do you need outside help from sales representatives to grow your company more quickly? Do you have the budget in place to start outsourcing your sales and support work? If you answered “yes” to these questions, then you know it’s time to start building your call center. Many firms will hire locally to fill customer service and sales representatives, but if you are working on a budget or interested in outside talent, then outsourcing your call center is the way to go. Before hiring anyone or formulating your call center, it’s important to define your objects and business goals. After all, if you don’t know where you are headed, it will be difficult to properly put the pieces together to effectively accomplish your goals. Start by conducting a needs analysis. When conducting a needs analysis, you will reach out to company stakeholders, investors, leadership, current employees, competitors, and customers to get feedback. Ask about what goals they have for the growth of your business, what problems they see in the business right now, how they think a call center could solve the problems, and any other question that will help you collect important data. Once you have conducted a proper needs analysis, consolidate the data to identify what is currently working, pain points, potential solutions, and information about how you can effectively use a call center to grow your business. These data points will act as a polestart to help you craft excellent objectives. Now that you have conducted a needs analysis and consolidated your data, it’s time to clearly define your objectives and business goals for your call center. Write out exactly what you hope to accomplish by outsourcing your call center. These data-driven objectives will help you make better business decisions. Once you have clear objectives for building your call center, you can make decisions that align with your goals, budget, and corporate needs. For example, when you know what the purpose of your call center is, it will be easier to hire the right candidates. If your purpose is to increase your sales volume, you’ll know you need to hire individuals that are proficient in English, historically good at producing results, familiar with the sales CRM you use, and willing to receive training. Finding this type of candidate is a much different process than finding someone to help answer IT calls, customer service calls, or to act as an operator to take messages for your staff. You can also use your objectives to determine how many people you need to hire. If you have quantified your data during your needs analysis, you will be able to tell how many employees you need to cover your bases, how many you need to grow, and identify any waste that may come from planning to hire too many employees. Building a call center is a different process for each firm, but when you have conducted a thorough needs analysis, done your research and defined your objectives, you can use that information to help keep your hiring decisions aligned with your goals. Before even hiring your team, it’s important to make sure you have the right tools in place for them to be successful. 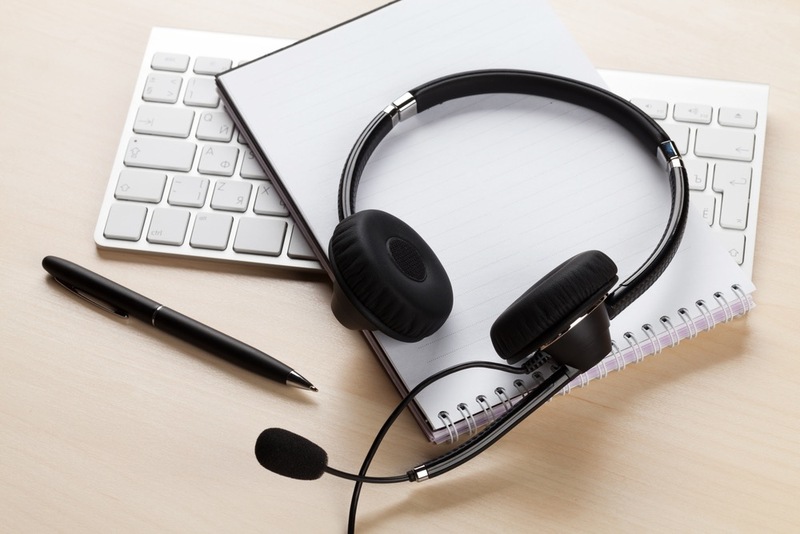 Here are some of the top tools to consider when outsourcing your call center. Time analytics software, like Time Doctor, will help you keep track of how many hours your remote employees are working as well as where they are spending your time. This is important for a few different reasons. First, tracking time ensures you are only paying employees for time they are actually on the clock. 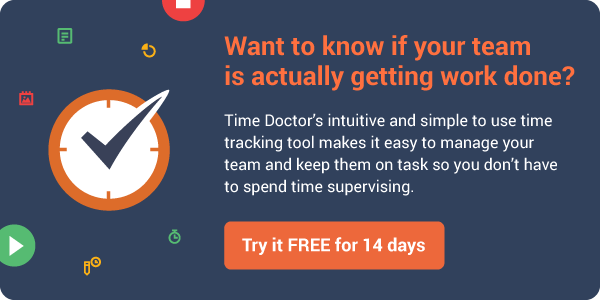 With a top-notch time analytics software like Time Doctor, it starts tracking when they start working and stops automatically when they stop working. Additionally, you can easily integrate your invoicing and payroll system to make paying remote employees a cinch. Second, time tracking helps you see how often your employees are working. This will help you identify if you have too many employees on the clock or if your employees are swamped and not getting to all the calls. This type of data will help ensure the success of your call center. 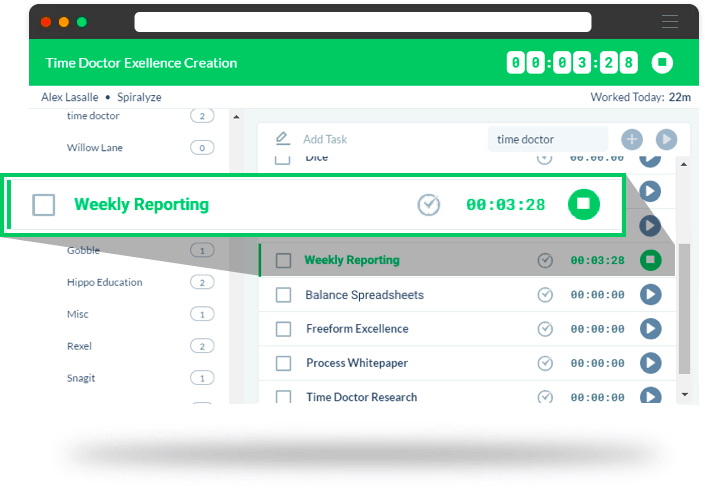 Finally, Time Doctor integrates with all the other top productivity apps to help your remote call center agents cut down on the number of tools and the time they spend using those tools. When you take this approach, it helps you increase productivity across the board. If you are planning on hiring remote workers to handle your call volumes, then you’ll need a cloud based call center software. Whether your needs are inbound, outbound, blended or multi-channel, a cloud based software program will make it so any employee around the world can access your software. All they need is a login and you can track all of the actions of your remote employees from within one system. If your remote employees are dealing with customers, then you’ll need a centralized place to store all client information. A CRM is a great way to store information about customers where everyone on your team can access the same information. This is important because you want your in-house agents to see the same information as your employees in Australia and Singapore, for example. Chances are you already have a CRM. If this is the case, look for a call center software that integrates with your CRM. There are other potential tools you need, but if you have a time tracking analytics software like Time Doctor, a cloud based call center software, and a CRM, you will be ready to start hiring. Before you start hiring employees to work for you, take some time to consider what skills they need to possess. This is important because your call center agents act as the storefront of your business. They are representatives of your brand and the interactions your customers have with these people will affect the overall reputation of your brand. When hiring, the first thing to look for is customer service skills. No matter what the ultimate purpose of your call center is (customer service, sales, IT, etc. ), if your agents don’t have good customer service skills, it will be a detriment to your business. 86% of customers will pay more for a better customer experience. When it comes to sales, the probability of selling to an existing happy customer is up to 14x higher than the probability of selling to a new customer. Researchers found that among thousands of customers studied, customers who had the best past experiences spend 140% more compared to those who had the poorest past experience. A survey asked more than 9,000 consumers about what mattered to them most when it came to interacting with companies, 40% of them—more than double the responses that the second place answer received—said “better human service”. Besides customer service skills, you will want to look for agents with other skills that match the job description. This could include proficiency in English, IT skills, computer skills, sales skills, and more. There are several ways to vet employees to make sure you are actually getting the skills out of an employee that they say they have. You can conduct interviews, use a trusted remote worker platform like Freelancer or Upwork, and you can have them complete tests or show you their portfolio work. Additionally, there is no shame in hiring an employee for a trial session to see how it works out. If they are doing great by the end of the trial session, keep them on staff. If not, you can feel free to go another direction. Once you have your tools in place, you’re ready to start hiring. There are several different approaches for outsourcing your call center. Here are some of the top ways. It’s possible to hire a whole call center to handle your needs. When you do this, a firm will have a set of agents ready to go and will manage the call center for you. If your needs are minimal and if you find a call center you trust, this could be an option. However, it takes some of the autonomy out of the process since you won’t be hiring the agents directly. Another option is to hire freelance workers and allow them to telecommute. When you do this, you have more control over who your hire as you will hire each and every remote worker on an individual basis. Whether you use a service that offers you all agents by hiring their whole call center or if you hire telecommuters, make sure you pay fair prices. 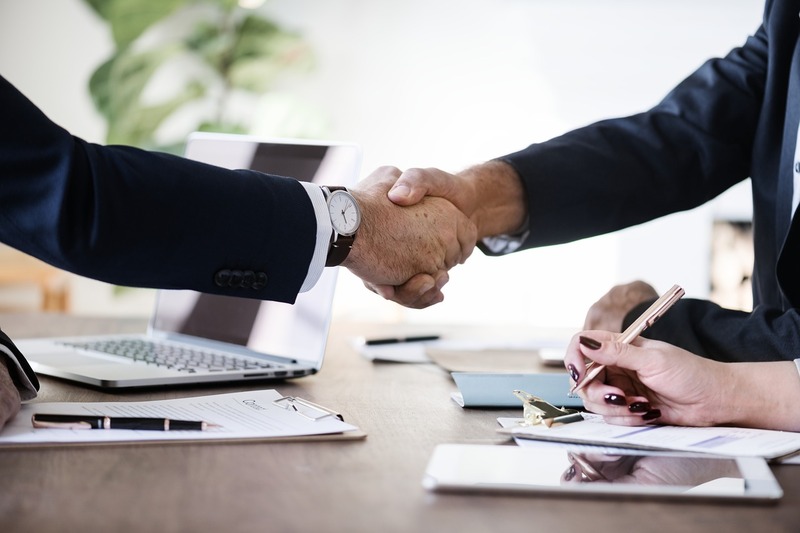 You will already be getting a great deal when outsourcing, and you can minimize employee turnover rate and quality if you offer fair prices. A big part of being successful in business is taking the time to evaluate your progress and reevaluate to see if you need to make changes. This is why it’s important to use a time tracking software, a call center software with analytics, and any other data platforms that provide feedback into how your call center is performing. When you have quantifiable numbers that come from gathering data on how your employees are working, it’s easier to make the right adjustments to your business objectives, goals, and plans. You can also use those numbers to conduct an ongoing needs analysis. This will help you determine how you are meeting your business objectives and whether or not you need to write new objectives to account for your business growth. Keeping an eye on your analytics and reevaluating your business practices will ensure you scale your business on pace and properly. Starting a call center is no small feat. It requires a lot of work and you have to make sure you are ready for this next big step. Once you determine you are ready, follow the steps listed above, and get your call center up and running. You’ll notice your business is growing and you are meeting the needs of your customers in a way you couldn’t before. My business is actually growing at a rate where we cannot handle in-house calls. I think we need more agents to handle the calls so we might need a call center outsourcing service to help us. Thanks for mentioning that I have to conduct my research before signing a contract with them so I’ll make sure to do that next week. I really like what you said about coming up with a list of data-driven objectives that can help you outsource your call center. If I were a startup, and I needed a robust customer service support, I will definitely not hesitate to work with a reputable call center company. Having the list of objectives that I want to accomplish will surely guide me to a company that can give me the fundamentals that I need which fits my allotted budget.